Raptor Vocalizations /Hawks Aloft Inc.
We’ve all seen and heard it. In commercials for an all-American truck, in movies about the wild, wild West. 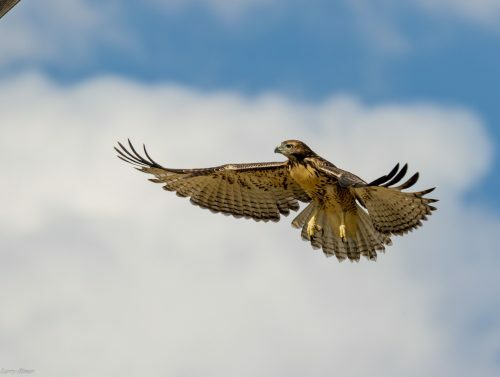 All too often producers depict a soaring bird, frequently an eagle or even a vulture, and tracked over the shot is the call of a Red-tailed Hawk. Most of the studies done on bird vocalizations emphasize, unsurprisingly, songbirds. Oscine birds (a subset of Passeriformes) include the Brown Thrasher, Hermit Thrushes, and Starlings who illustrate great range with their complex voice boxes. These birds often emit sounds ranging from buzzes and clicks to trilling and warbling. Frequently film makers will even use a shot of circling Turkey Vultures paired with the cry of a Red-tailed Hawk. 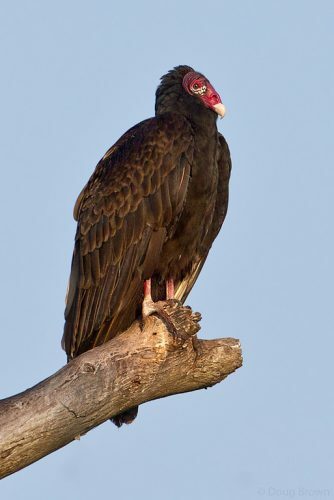 However, Turkey Vultures are largely silent birds, and vocalize primarily when very agitated and then it sounds a great deal more like a hiss, even a roar, then a cry. Surely no one expects a Hollywood movie to truly reflect reality, and the objective of truth in advertising is often overlooked. 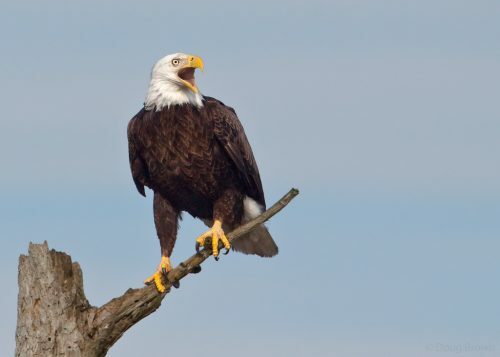 A quick review of raptor vocalizations illustrates these points in a simple, often funny way. The next time you hear the cry of a Red-tailed Hawk emitting from a television or movie screen, take a moment to quietly fact-check the content of what you’re seeing, or better yet, head outside to find the authentic music of raptors and songbirds across New Mexico.